To start with, to make up for not including Bahubali in my Best of 2017, I give you Prabhas. Prabhas leaping and showing off his legs. Continuing the Bahubali theme, Rana looks very good, very rebellious, in this Lungi. And very southern realness in this candid airport shot. So long as we are in Telugu-country, how about some Mahesh Babu for us? And after Nivin comes Dulquer. Caught mid-flip, very nice. Prithviraj, giving us some nice average middleclass man vibes with the mundu and glasses. Tovino Thomas, looking all kinds of cool in black and white. Let us leave Kerala and toddle over to Tamil Nadu. Ajith! Shows how a real mature man wears a lungi/veshti/mundu. R. Madhavan, dressed like a good boy but with a smile that says he is thinking bad things. And finally, I know he’s not southern, but MAN, can Dharmendra wear a lungi!!!! Maybe it’s just the black and white, but Tovino looks very very good. Dharmendra. Duh. In any contest. Bonus question: I feel I did not do right by Prithviraj, and yet I can’t seem to find anything better. Help me! There, now is everyone happy? If not, if I am still missing something obvious-to-everyone-else, let me know and I will update again. This entry was posted in Uncategorized and tagged Ajith, Dulquer, Lungi, Madhavan, Mahesh Babu, Mundu, Naga Chaitanya, Nivin Pauly, Prabhas, Prithviraj, Rana Daggubati, TGIF, TGIF posts, Uncategorized, Veshti by mredlich21. Bookmark the permalink. Some of my favorite men in here. Nods approvingly. Nivin with his blackshirt and white mundu. So iconic. Black shirt is not worn with mundu often. But did permam change that in Kerala! Prabhas does action so gracefully. This time in mundu and wedding finery. I refuse to accept “Dulquer just because he is Dulquer”. Mostly because I am a Nivin fan. I will accept “Nivin just because he is Nivin”. Also he’s tall and does the holding mundu walk gracefully. You are right, the height does help with the mundu walk. I did look actually, but everything was from like Drishyam, and I wasn’t sure what to search for a younger cooler Mohanlal. Apparently people feel very strongly about this! Give me a good image and I will add it. I don’t know how to upload a picture here..
Let me help you distinguish which is which.A mundu & lungi can be contrasted like the trousers/formal pants & jeans.One is more gentlemanly/formal and the other is casual.Mundu is almost always white(in cotton,silk-with or without the embellished ends.A festive occasion requires a festive mundu-eg Prabahs/Madhavan).Lungi can be of any material,any pattern,and suits well for lazing around(eg. 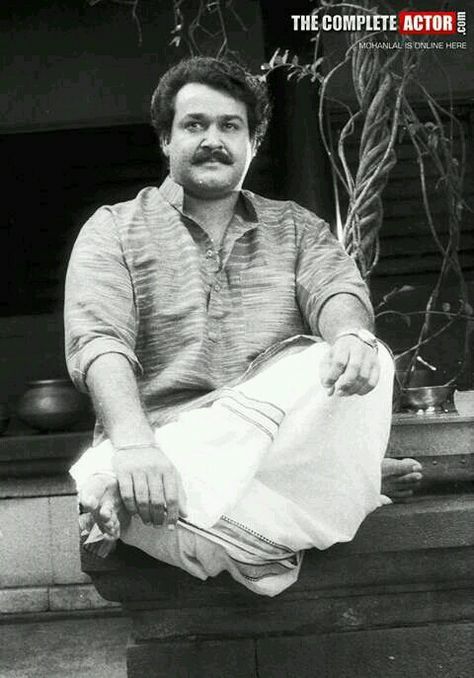 Dharmendra’s,Premam boys).It is too casual to be worn to a special/festive occasion.The one that Madhavan is wearing over his shoulders is a veshti-which can also be just draped over the shoulders without wearing the shirt.The mid-flap,folded mundu totally adds to the swag quotient.The one-end lifted(mature Ajith)walk is little tricky-you want to reveal just enough legs while walking without seeming obscene. Yep, that is the perfect Prithviraj photo! Adding it. There were some videos, too, of the mundu in action, but they were of poor quality. To ward off future complaints, I then searched for “mammootty in mundu” and turned up these videos. But didn’t you say you feel like a spinster aunt to Prabhas? That [puts you in the correct age bracket for either Mohanlal or Mammootty. Anyway, no media studies reaction to those ads? Give me a second, I haven’t watched them closely yet, desperately trying to finish Rahman’s birthday post. It’s reminding me of the opening of Mersal, Vijay is stopped at the airport because he is wearing a mundu. What’s funny is, how one sided it is. These ads, and Mersal, had a narrative of “the West is trying to make us stop wearing mundus, doesn’t understand, etc. etc.” And, speaking for the west, we don’t care!!! We aren’t trying to force blue jeans on anyone, you can wear whatever you want. I understand the desire to position the mundu as making a statement about identity, it’s a great advertising gambit to say that buying/wearing this thing means you are more macho, more Indian, more confident in your own identity. But if I were advertising them, I might go for more of a “their comfortable and practical for the weather and also make you look taller” option. Hi Margaret, I don’t know how often you check your “to be moderated” file, so I just wanted to give you a heads up that I have a comment there. Rescued from it now. It was waiting to be approved when I woke up. Rana has the perfect lungi body. He’s slim in the broad bodied male structure. A lungi makes him look taller. Next prabhas. I could really elaborate why but I won’t. I wish you’d found good nivin and Prithviraj lungi pics. Sakhavu and aiyya have them in it right? I love my Nivin pics! He’s angry and macho and has a little mini-Nivin. Don’t say that! It’s not true! I will accept “you were too crazy busy at work to have time to sort through all the picks and just put up whatever you could find”. Also, THIS is why I don’t write more about southern industries! With Hindi TGIFs, I know off the top of my head the good movies with the good images and so on, because I’ve got ten years of data to draw on. But with southern, I am at sea. It’s true, they are. When you are ready, the Malayalam movie I reviewed this morning would be a good start for you on the southern industries. Or else Alaipayuthay. I am so glad you commented! And no worries about your English. Your ideas are what is important, not your grammar. 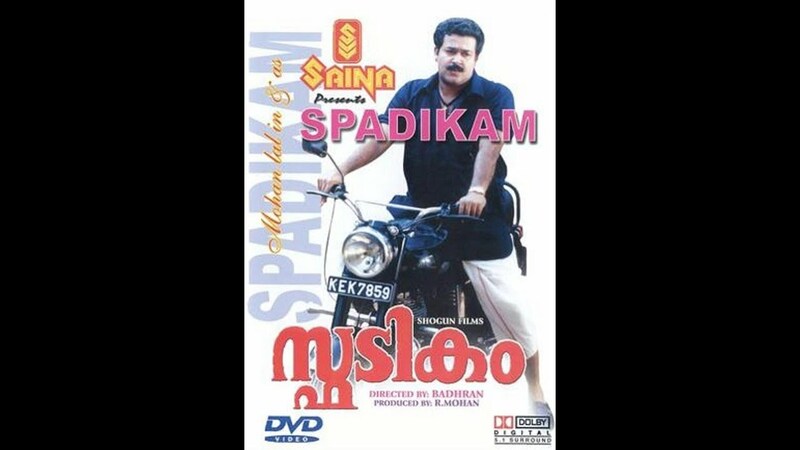 I’ll have to see if I can find a still of Mohanlal from Spadikam or something to add to the post.